If you are tired of a patchy beard that won’t grow right, you might want to check out these options for the best beard growth oil for patchy beards. We have field tested 3 products and here are our in depth and genuine reviews. Personally, we think that this reasonably priced beard growth oil is one of the best options to go with right now for various reasons. The main ingredient in this beard oil is Burdock root oil, along with some other ingredients. Medicine Man's Anti-itch Beard Oil comes with all of the benefits you would expect from beard oil, especially one like this that is rich in vitamin E.
This oil helps to soothe red, irritated, and itchy skin, while also strengthen hair follicles. This means that follicles are healthier and can more easily grow beard hair. At the same time, Medicine Man's Anti-itch Beard Oil also strengthens, nourishes, and hydrates existing beard hairs as well. Also, it helps to make your beard softer, more manageable, and it smells OK too. We pretty much like everything about Medicine Man's Anti-itch Beard Oil. It comes with all of the health benefits for skin and hair as can be expected from beard growth oil. The smell is quite nice too. Some people don’t like the smell of this beard oil, but that is a matter of personal preference. Also, it might feel a little greasy, which is a negative aspect. Beardiful is a fast-growing brand name in the beard world and they deliver some awesome products like this one. It’s a bit cheaper than our number one choice, but it still gets the job done. This product contains a long list of natural oils, carrier oils, and other vitamin-rich ingredients, all of which are natural and safe to apply. The main point of Beardiful Beard Growth and Repair Oil is to repair beard hairs, make them stronger, more resistant to breaking, and to hydrate them too. It helps make beards look much thicker. At the same time, it also hydrates and nourishes skin underneath the beard. It repairs damaged follicles and helps them to grow more beard hairs in shorter period of time. It does have a really strong smell, just so you know. It is a pretty good option for filling in those patchy spots. 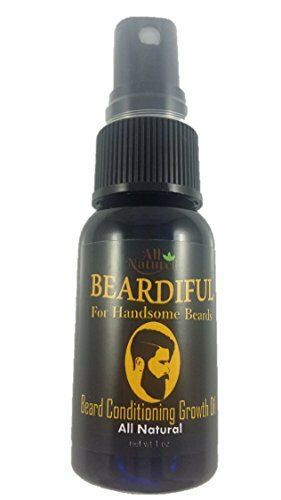 We like how Beardiful Beard Growth and Repair Oil only uses natural ingredients without any harsh chemicals. We do also like how it is indeed very effective at repairing hair follicles, as well as soothing skin, plus of course the fact that it strengthens hair is nice too. For one, this beard oil just does not smell very nice. It has a very pungent odor, plus it is quite greasy and may cause stains on clothing too. You are going to want to use this product at night and wash it out in the morning. If you need a whole beard care kit from a trusted bearded brand name, this is a good option to keep in mind. This kit comes with 3 different things. First, you get a beard shampoo that is great for washing your beard. It cleans it, it hydrates it, and it nourishes your beard too. Second, it comes with beard oil that is filled with natural ingredients and lots of nutrients. 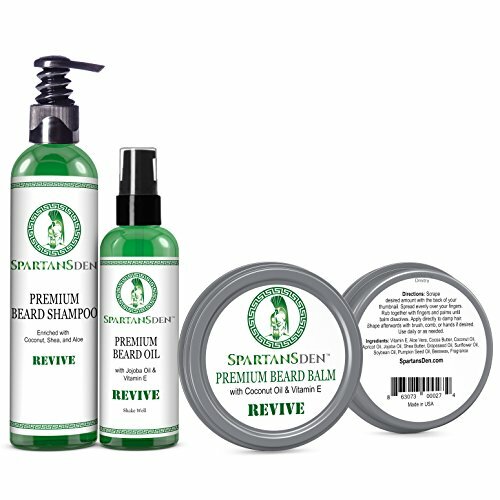 It works well to strengthen both hairs and the follicles underneath, plus it is great for the skin too. Finally, the beard balm that is included with this kit helps to strengthen beard hairs, tame them, make them more manageable, and nice and silky too. All of these things smell pretty nice. It’s a cool little beard care kit with all-natural ingredients. We love how this is an all-in-one kit, with 3 different products, all of which are natural and have their own specific beard-related benefits. We are here to talk about beard growth oil, but this kit comes with lots more than just oil, which means that you might be paying for items you don’t need or want. Also, some kits seem to be missing various items. 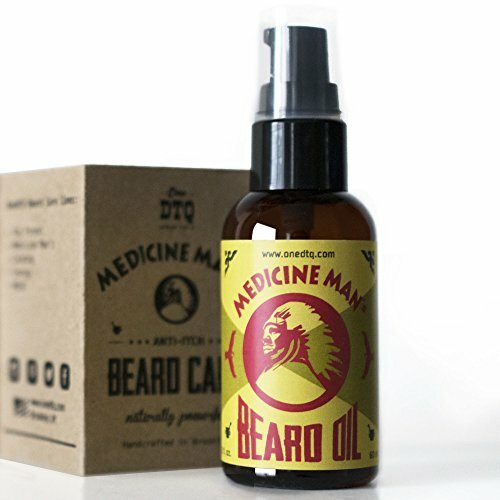 We like the Medicine Man's Anti-itch Beard Oil because it has the best skin and beard benefits. However, the Beardiful Beard Growth and Repair Oil does make for a good runner up.